In 2010, Lochaber's Findlay Wild beat Deeside's Robbie Simpson by 20 seconds to win the annual Ben Nevis Race in 1:35:39. 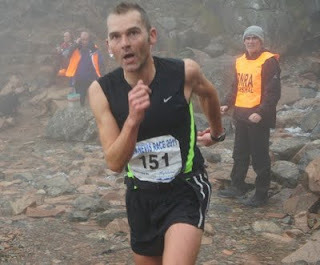 In 2011 Findlay Wild beat the English double (Open and Vet 40s) champion Lloyd Taggart by over 2 and a half minutes and took nearly 6 minutes off his own personal best. Wild ascended and descended Britain's highest mountain (4406ft) in 1:29:21, the first time the race has been won in under 1:30 since 2008. But Lloyd Taggart wasn't the only big name to be defeated by Wild on Ben Nevis. This race is very popular with the best of the best fell runners. Some great talents were tamed by the 'call of the Wild' and made room for the local man. "when I got to him he was in a bad way - a severe head injury with a fairly gory laceration on his scalp ........ thanks heaps to the guy who helped me get my buff out of my bumbag as I compressed the injured guy's head wound so I could use it as a bandage"
So apologies if we lapse into calling Sarah 'Paramedic Sarah' from now on. Sarah organises running holidays in Snowdonia so I'm sure her guests are comforted by knowing that 'Paramedic Sarah' knows exactly what to do in an emergency. 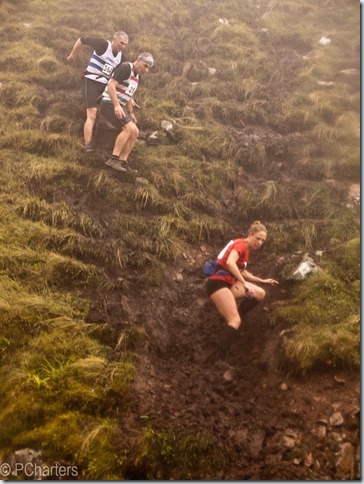 Sarah finished the run up and down Ben Nevis in 2:18 but her patient, the day after the race was well enough to say on twitter "bad day in the hills yesterday! 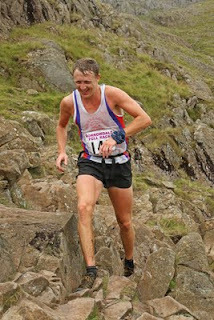 fell at Ben Nevis Hill Race, eight stitches in my head, my first DNF!". 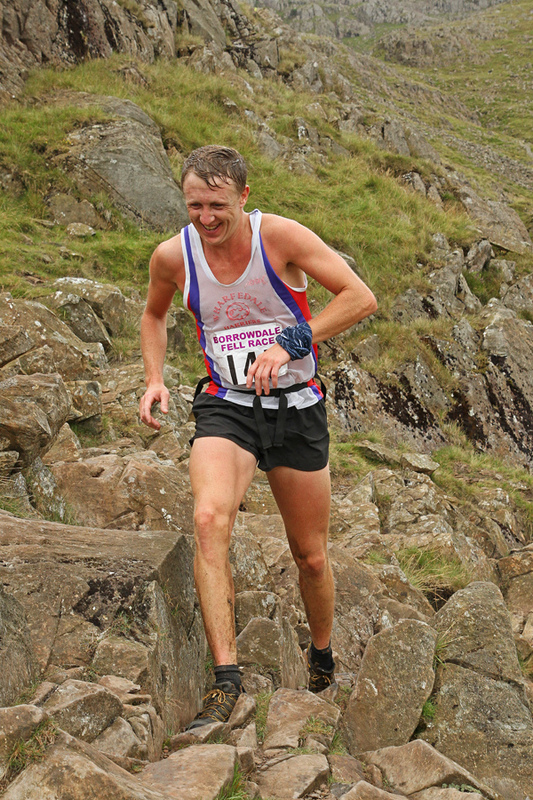 Mark 'Goldie' McGoldrick turned just behind team mate Chris Newman (who finished in 10th) on the top. Half way down at the great spectator viewing point of 'Red Burn' someone shouted "12th place - Go for the Team prize". "That's when the pressure started, I went down after one of the footbridges, got myself up and started running again trying not to look at the blood around my left knee. The path starts to zigzag I decided to cut down.... bang down again...... this time the pain was much worse!! A rock straight to the shin, it really did hurt this time and I just couldnt seem to get it to go!! I slowly managed to get down the track and back on to the road where I was able to run a lot quicker and not be passed again.After half hour in the first aid tent it was time to start thinking about the night out......"
Wharfedale Harriers from Yorkshire managed 3rd team with Goldie 22nd. 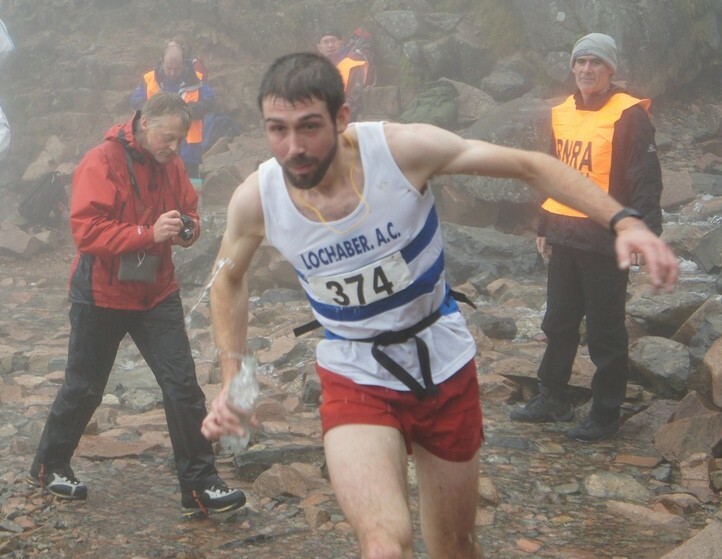 Cumbrian fell club Borrowdale won 1st team by a Nevis wildcat's whisker with 22 points over local club Lochaber with 24 (lowest number of points wins). Next year's race is on 1 September 2012.